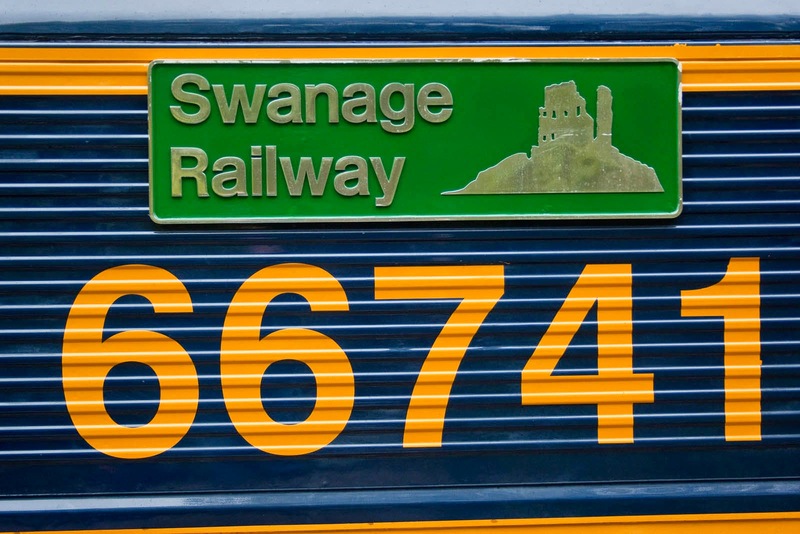 New nameplate on 66741, unveiled on Thursday. 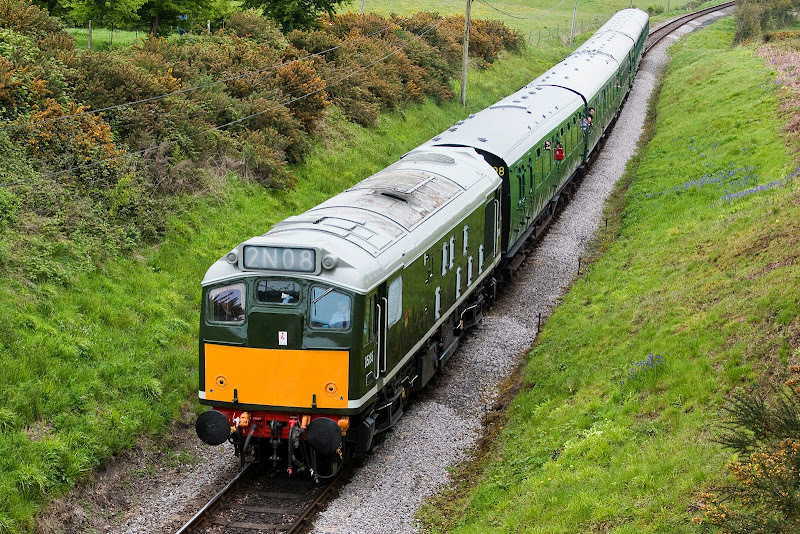 D7076 at Harman's Cross with 1N02 09:46 from Swanage. New from Beyer Peacock in May 1963, withdrawn in May 1973. 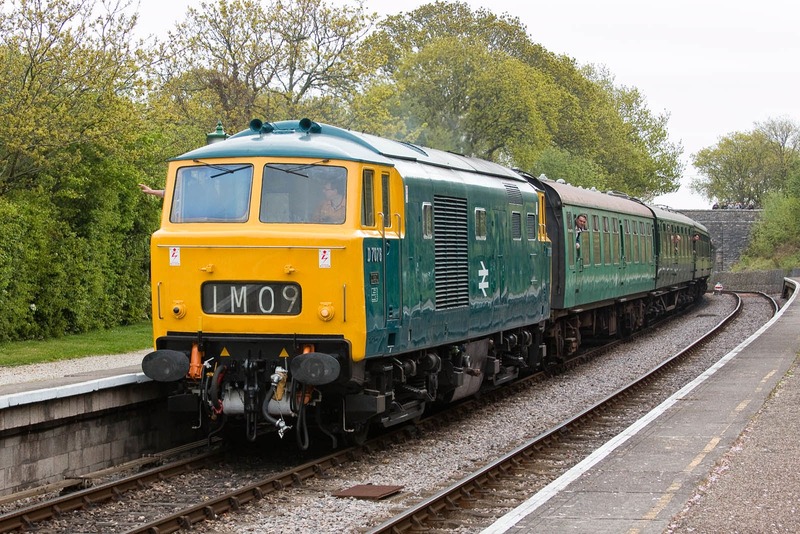 D5185 (25035) with 2N08, 10:45 from Swanage. New from BR Darlington in May 1963, withdrawn in March 1987. 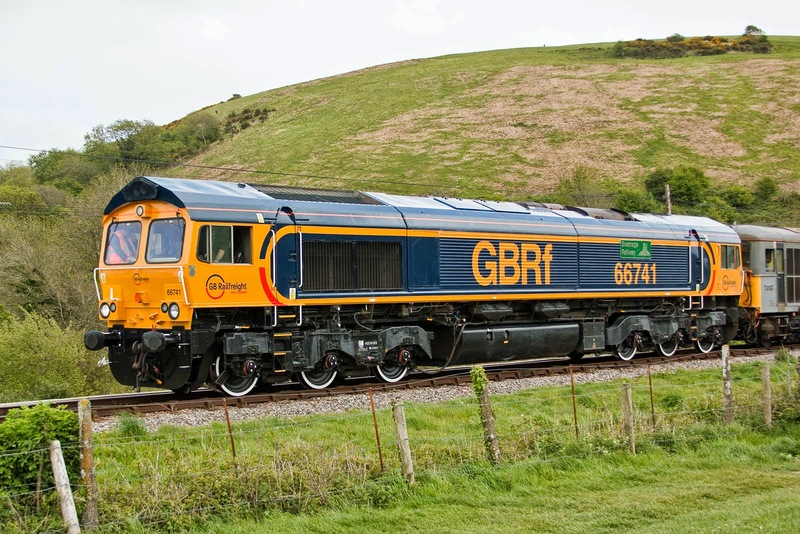 Newly named 66741 between Corfe and Norden, running with 73107. 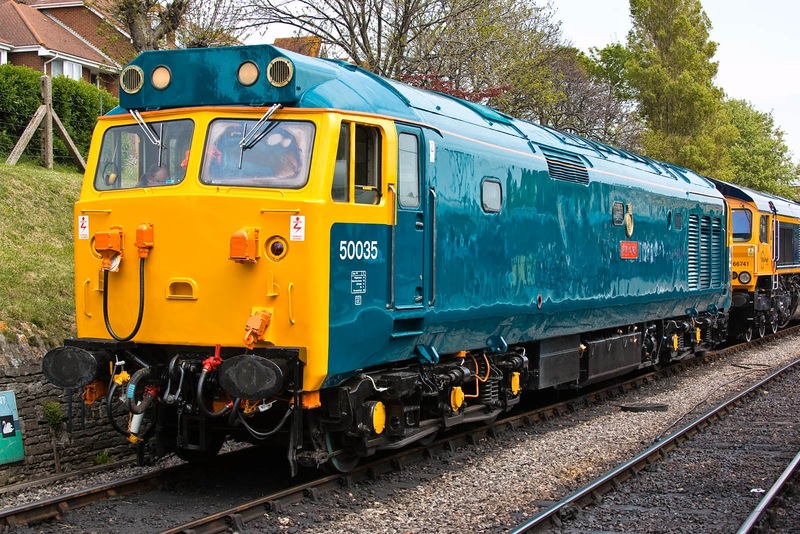 50035 Ark Royal between turns at Swanage. 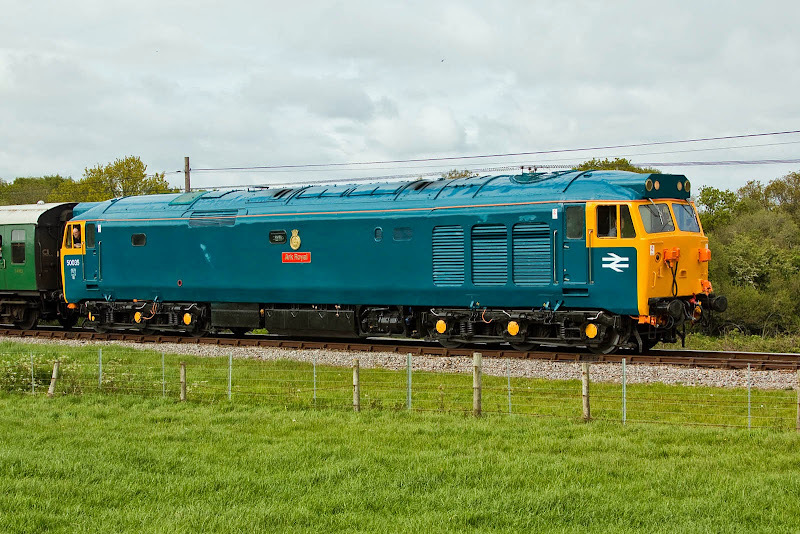 New from EE Vulcan Foundry in September 1968, withdrawn from Laira in August 1990. 50035 between Norden and Corfe.